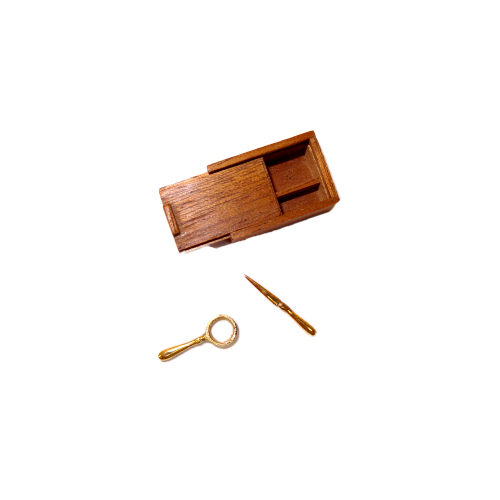 A handcrafted miniature gold vermeil magnifying glass with a matching letter opener in a wood box. The beautifully finished box has a sliding lid. The miniature box is just over 3/4" long and 1/2" wide. The letter opener is 3/4" long.